Are you experiencing pain, discomfort, suffering as a result of your car accident in El Monte? 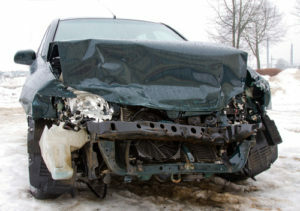 Hire a top-rated auto accident attorney in El Monte to help you get the compensation you deserve. At Rawa Law Group, we offer interested persons who are suffering from the aftermath of a car accident the opportunity to get closure by heading to court to seek legal claim and receive benefits for the repair of their car, and to treat their injuries. It’s always advisable to seek legal representation in such cases and this is why we offer our services. We are a law firm with a combined work experience of over 50 years and many top-rated personal injury lawyers in California. We work tirelessly and relentlessly to bring advocacy for the injured. We also offer convenient office hours to our El Monte claimants so you can come over whenever you feel like for a free consultation with a top auto accident attorney in El Monte. We have recovered hundreds of millions of dollars in settlements for our different clients and are willing to help you get yours. Rawa Law Group is determined to help you fight for your right as aggressively as possible to ensure you are adequately compensated. Don’t worry about the costs; we have a zero policy for an initial deposit which means you only pay us for our services after we win you your settlement. Whenever you are in need of an exceptional auto accident attorney in El Monte, be sure to check with us.